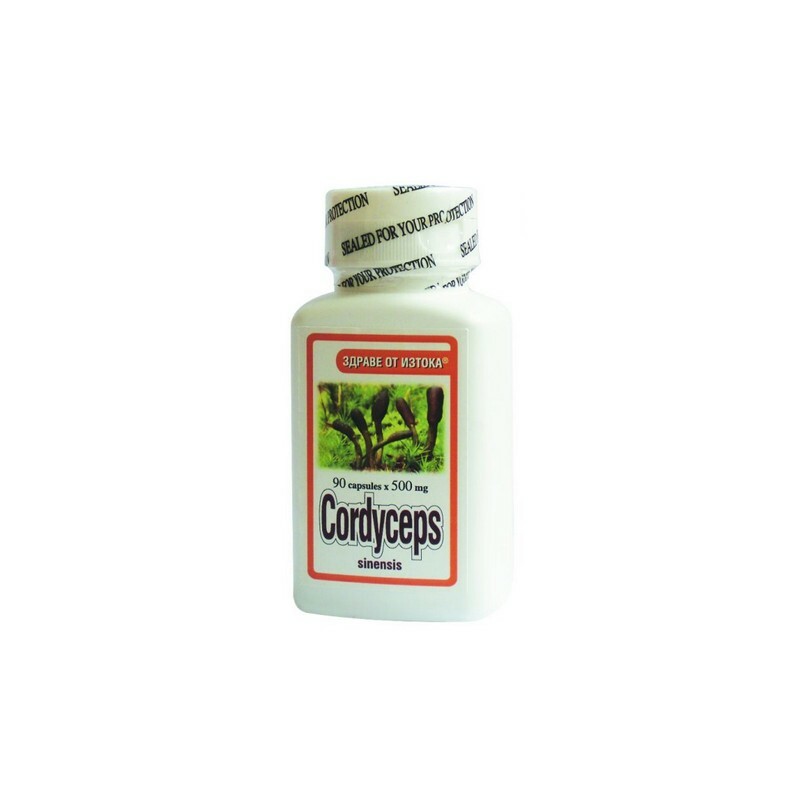 Cordyceps supports the immune system, helps to improve the symptoms of bronchitis and asthma, contributes to the normal functioning of the authorities do and more. The "Sacred Three" of Chinese medicine, which includes ginseng, cordyceps and hinges, namely Cordyceps is considered the best and most universal means of strengthening the immune system and prevention of various diseases. 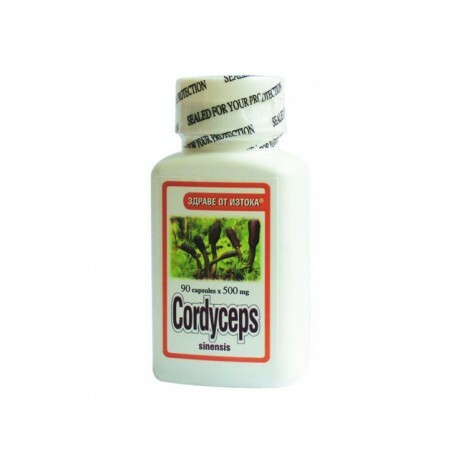 Cordyceps is a product that maintains the overall condition of the body and its endurance. Used a high-tech process for the cultivation and extraction of mycelium of Cordyceps in the making of this product. Because of its rarity and high price in the past Cordyceps has always been only to selected people - Emperors, until recently it was completely unknown to the Western world. Traditional and modern application of Cordyceps includes bronchial asthma, insomnia, hypo function of the adrenal gland, high blood pressure, infertility and bacterial infections. Strengthens the body after exhaustion. Excipients: emulsifier - magnesium stearate - 10 mg.
Ползвала съм го на друга китайска фирма и съм много доволна, особено за бъбреци.Вкъщи винаги имаме и ползваме за всякакви случаи.Като го свърша ще взема от Здравница, а и е по-евтин.